Scott Hafemann, reader in New Testament studies at the University of St Andrews, has a very helpful explanation on the background of the Roman triumphal procession in the ancient world, which ends up making sense of this perplexing and fascinating passage. The triumphal procession was a lavish parade conducted in Rome to celebrate great victories in significant military campaigns. Like a St. Patrick’s Day parade in Chicago, these were major cultural and civic events. Everybody in the Roman Empire knew about these parades, which were represented on Roman arches, reliefs, coins, statues, medallions, paintings, and cameos, not to mention the approximately 350 triumphs that are recorded in ancient literature. They were ostentatious celebrations, filled with valiant soldiers, the spoils of war, and the most theatrical pomp and circumstances Rome could muster. Moreover, the triumphal procession demonstrated Rome’s prowess as the victor not only by parading the spoils of war, but also by leading in triumph the most important leaders and intimidating warriors of the enemy, now presented as conquered slaves. 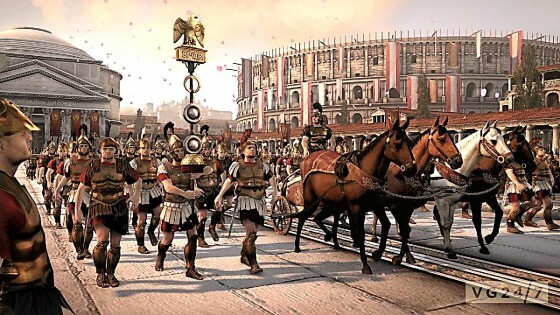 The highest honor any Roman Caesar or general could receive would be to lead one of these parades. Conversely, to be led as a prisoner in such a triumphal procession signaled one’s utter defeat. . . .
[T]he role of those led in triumph was to reveal the glory of the one who had conquered them, ultimately through their public execution and death. . . .
At the end of the parade, the Romans publicly slaughtered as a sacrifice to their god(s) those prisoners who had been led in procession (or at least a representative sample thereof, selling the rest into slavery). Though a gruesome thought to us, what better way to magnify one’s victory, while at the same time offering a sacrifice of gratitude to the gods, than to kill publicly the leaders and the most valiant of the vanquished warriors as the final act of triumph over them? Hafemann points out that what was is so startling about 2 Corinthians 2:14 is that the Apostle Paul is the direct object, not the subject, of the Greek verb Greek, thriambeuo (“leads us in triumphal procession”). By using this well-known cultural event to describe his own life as an apostle, Paul’s point is that, as the one “being led in triumph,” God is leading Paul to his death. . . .
As the enemy of God’s people, God had conquered Paul at his conversion call on the road to Damascus and was now leading him, as a “slave of Christ” (his favorite term for himself as an apostle), to death in Christ, in order that Paul might display or reveal the majesty, power, and glory of God, his conqueror. . . .
. . . Paul’s suffering, as the corollary to and embodiment of his message of the cross, is the very thing God uses to make himself known. . . . Far from calling his apostleship into question, Paul’s point in 2:14 is that his suffering, here portrayed in terms of being led to death in the Roman triumphal procession, is the means through which God is revealing himself. . . . In other words, God continually leads Paul to death in a triumphal procession and in this way everywhere reveals the knowledge of him. — Scott J. Hafemann, 2 Corinthians, NIV Application Commentary (Grand Rapids: Zondervan, 2000), 107-10.